To create a dramatic focal point, we designed this courtyard with a magnificent bronze wall fountain. 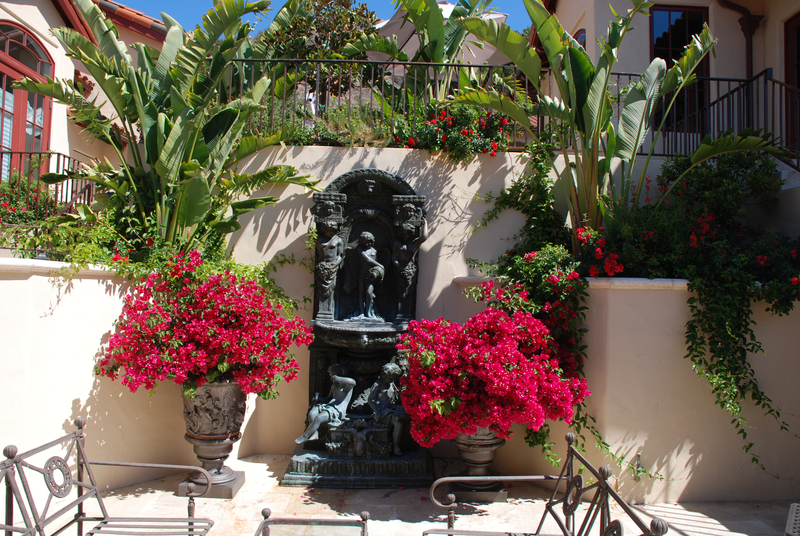 This fountain was flanked with bronze urns planted with colorful bougainvillea. This is truly a beautiful environment.